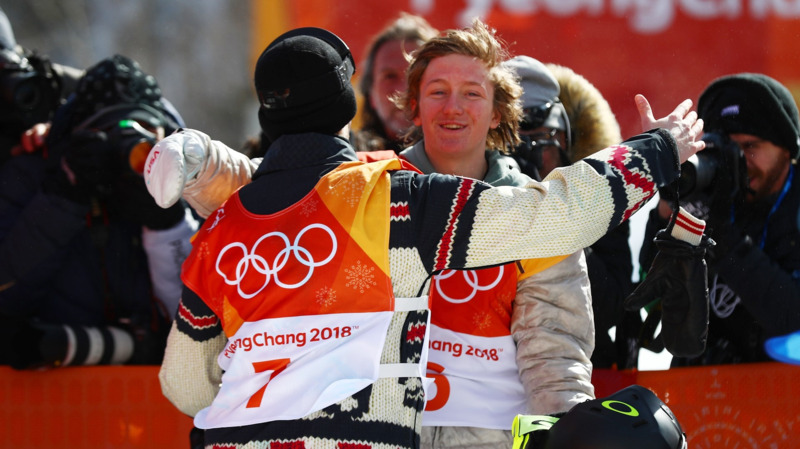 The other night, watching 17 year-old Red Gerard win a gold medal, man-hug the same two teammates at least 25 times each, then drop an F-bomb on live TV, it got me thinking: I am old. After all, this kid is only 17. I’ve got skis older than Red Gerard. Teenage medalists are hardly unique, but it did get me thinking about what a strange experience this must be. I wonder, for many of these young athletes especially, how much of their Olympic pursuit is managed by parents or especially coaches. There’s nothing wrong with coaches. I’ve had lots of great ones. I wish I’d had more. But it struck me that my own Olympic pursuit, as a canoe racer, was largely a coachless one. And that was probably the best thing that could have happened to me. Why? It’s simple. I discovered the joy of learning everything on your own. If you are training because a coach tells you to train — if you work on a certain skill because a coach tells you to work on it — if your last thought after a bad run is, “Coach is not going to be happy” — you’re missing the greatest part of being a training athlete in pursuit of a goal: taking responsibility for yourself. The best part of the Olympic quest isn’t the victories. It’s the journey. It is the — to borrow a line from a former kayak coach — “fascination with the process.” And if you’re just along for the ride on the journey — if the process is being run by someone else — you’re missing the best part. When I started racing kayaks seriously at 19, I knew I wasn’t good enough — and there weren’t coaches enough — for me to merit much of their time. Instead, I learned many of their skills for myself: setting a yearly training plan, setting my own weekly goals, seeking out my own training partners, and evaluating my own performance with an eye toward constant improvement. On Sunday mornings in the mid-2000s, I’d drive out to the Dickerson whitewater course in Maryland and walk up and down the shore with my training partner, Steve Graybill, planning exactly what we wanted to work on and adjusting the slalom gates to suit our ends. We didn’t have a coach to set the gates for us, but that made us that much more astute critics of ourselves, and that much more invested in the workouts — because we’d set the goals ourselves, not a coach. I never knew those things as a high school athlete, playing soccer and lacrosse. A coach scripted our pre-season training, a coach monitored our fitness, tailored our drills, responded to sloppy game play with targeted interventions, scripted our playbook, and configured the playing field, filling out the roster with each of us at whichever position he liked. We went to practice and did what we were told. The athletic fields were an extension of the classroom. We were students and the coaches were the teachers. The idea of not being in charge of your training is so foreign to me now — not just as a former coachless athlete, but as a teacher whose job is directing the learning process of others. I can’t imagine being on the other end now. It’s almost hard for me to imagine playing a coached sport again. Some athletes are lucky enough to have a coach who becomes a partner in this quest — more like a peer, a helper, rather than an authority. These can be incredibly meaningful relationships, but they can only happen for athletes mature enough and invested enough that they’d be training at 5 am even without a coach. If you need a coach to get you up early, that’s not an equal relationship, and you’re missing out. My favorite dynamic from back when I was racing was the group of coachless competitors. When you had two or three guys, all very close in performance, all serious about improving, who came together to train, the dynamic was fantastic, because you’d be pushing yourselves to do things no reasonable coach could’ve ever asked you to. In some ways, it’s purer than a coached workout: athletes thinking things through for themselves, and bringing out the best in each other without intermediaries. Internal motivation — true motivation — is always the most rewarding. Let every Olympic athlete, no matter how young, feel the joy for at least one season of taking responsibility of his own training, of targeting his own weaknesses, of developing his own strength and skills, of dragging himself out to the river on a cold morning at 5 am. After all, ask any Olympic athlete and they’ll tell you: it’s not about the medals. It’s about the pursuit of excellence. But a medal would be nice.